Fifty years ago, in what would be his final speech, the Rev. Martin Luther King Jr. looked down from the “mountaintop” to tell a mass meeting in Memphis a simple message: Labor rights are civil rights. The great organizer and orator understood that these two issues were inseparably linked. The March on Washington was actually called the March on Washington for Jobs and Freedom, and it demanded a national minimum wage of at least $2 an hour – which, adjusted for inflation, would be nearly $16. United Auto Workers President Walter Reuther and King had a close relationship, with Reuther even bailing King out of his Birmingham jail cell. 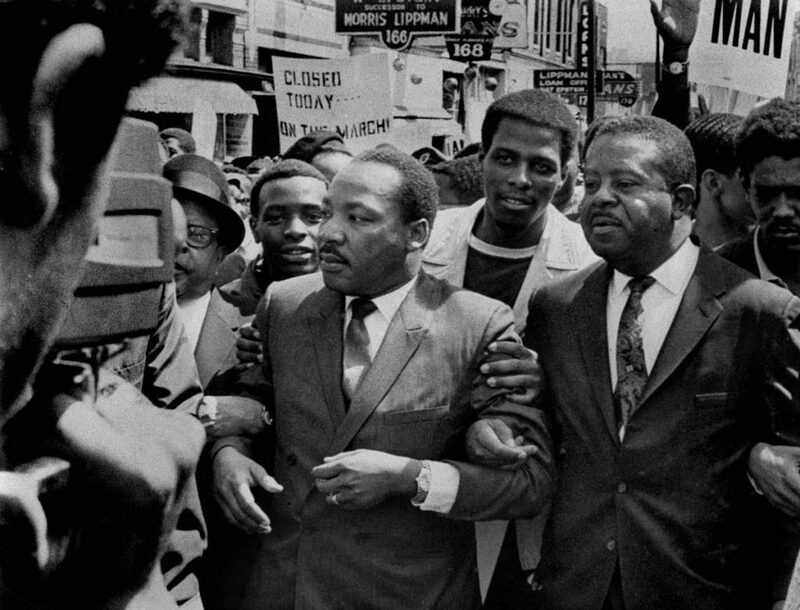 In 1968, King had come to Memphis to back up those words by marching to support the city’s striking sanitation workers. The city refused to recognize the workers’ union (the American Federation of State, County and Municipal Employees, or AFSCME) and hired non-union strikebreakers, known as scabs, to collect garbage instead. Nevertheless, trash piled up all over the city as support for the strikers grew. The NAACP and many local ministers began organizing and holding meetings that quickly grew into rallies and marches. When the city issued an injunction ordering an end to these protests, the union continued marching anyway and upped the ante by inviting King. Sadly, his death would be the catalyst that forced the city to recognize the union and negotiate with the sanitation workers. This linking of workers’ rights with racial justice is not a one-time occurrence. The fact that the songs of the civil rights movement, from “We Shall Overcome” to “Eyes on the Prize” to “We Shall Not Be Moved,” were first sung on union picket lines across the South is no coincidence. In Arkansas and Mississippi, the Southern Tenant Farmers’ Union organized and empowered sharecroppers of all races to improve their living conditions (and provided us with many of those songs). More recently, in the 1970s, civil rights workers in Mississippi helped workers form the Gulf Coast Pulpwood Association and the Poultry Workers’ Union, viewing these workers’ struggles as inseparable from the broader movement. And today, in Canton, Nissan workers are fighting the same fight for better conditions and racial equality within their plant. In view of this history, let’s honor the 50th anniversary of King’s death by celebrating who he really was – a radical organizer dedicated to improving wages and working conditions by unionizing workers – rather than allowing companies and politicians to co-opt his legacy by erasing the essence of his message. Jaz Brisack is a junior general studies major from Oxford.